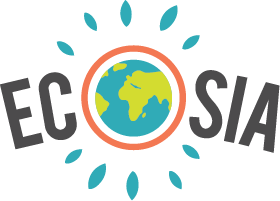 Ecosia supports over 20 tree-planting projects in 15 different countries; Peru, Brazil, Madagascar, Nicaragua, Haiti, Colombia, Spain, Morocco, Senegal, Burkina Faso, Ghana, Ethiopia, Uganda, Kenya, Tanzania and Indonesia. To achieve this, we work with local partners who are able to monitor your trees on the ground. Imagine you had a billion trees to give away, and had to decide where they could have the biggest impact on people and nature. Where would you go? For us it's biodiversity hotspots, areas which hold particularly high numbers of unique species. These locations face extreme threats, hold at least 1,500 species of endemic plants and have been diminished by at least 70 percent. Today, 35 such hotspots are defined. They represent just 2.3% of Earth’s land surface, but they support more than half of the world’s plant species and nearly 43% of bird, mammal, reptile and amphibian species found nowhere else on earth. Trees are tremendously helpful in creating value to farmers and communities. They can prevent erosion, create a stable microclimate for other crops, restore the water systems or provide new means of income. But in the poorest agricultural regions of our planet, communities and farmers do not have the means to start tree-planting and restoration on a larger scale. It's hard to find investment from private finances because they don't get a return within three years, and public finance carries large administrative burdens. By planting in these areas, we are employing local communities and giving farmers an attractive alternative to selling their land for monoculture production. So... This is basically Google, but it also plants trees?